SETX Advertising News – How Can I Compete With a Small Marketing Budget? This edition of SETX Advertising News should be ideal for Beaumont area companies struggling with finding their best advertising value, particularly for new businesses who are facing a never ending list of unexpected startup costs. You probably notice some Southeast Texas advertisers who do an excellent job of making sure potential advertisers receive their marketing message constantly – on TV, in magazines, on billboards, on their computers, and on the radio. This blanket advertising approach is very successful. Most of the time it requires a budget in the tens of thousands of dollars each month (banks, car dealerships, credit unions) or even the hundreds of thousands (car manufacturers, casinos). Many cannot afford to effectively run TV or radio at all. Don’t despair- you can still advertise very effectively with a small budget. You just have to do some research to make the best buy for your business. Identify your target market and key marketing demographic. Who are you selling your product or service to? It doesn’t matter if you’re spending $50 a month or $50,000 per month if you aren’t reaching the right SETX advertising audience. Below are some sample target audiences and a local Southeast Texas media platform that will help you reach each demo on a limited advertising budget. Women in The Golden Triangle have become the primary decision makers for a number of advertisers. Women choose where their families will become new credit union members in Southeast Texas and coordinate family home loans, car loans, and home improvement loans. Women choose where families eat out together. Women register their children for SETX private schools. Reach women in the Southeast Family Magazine. This monthly magazine for moms has the widest distribution area of any Southeast Texas publication of its type blanketing 400 locations across four Southeast Texas counties. 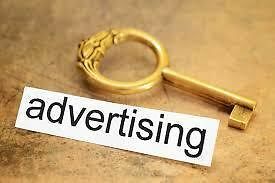 Advertisers love the value; ads range from $175 per month to $595 per month. Click here for the Southeast Texas Family Magazine Facebook Page. This group is attractive to Southeast Texas advertisers for their ability to buy large ticket items with cash. In the Golden Triangle, senior citizens pay cash for new Buicks, Toyota Trucks, and Honda Accords. They also pay cash for RVs, golf carts, vacation homes, jewelry, country club memberships, and upscale vacations. This SETX advertising demo is desired by restaurants, event venues, boutiques, jewelry stores, hotels, banquet halls, bridal salons, beauty shops, makeup retailers and makeup artists, shoe stores, travel agencies, liquor stores, limo companies and car services, and florists. Reach Southeast Texas brides on SETXWeddings.com. Pricing is very attractive for Southeast Texas wedding vendors and other advertisers and ranges from $100/month – $250/month. New Businesses in Southeast Texas. Southeast Texas advertisers love working with new businesses because they need everything: logo, business cards, letterhead, invoices, signs, company vehicles, bank accounts or credit union accounts, commercial loans and lines of credit, payroll services, a recruitment agency, catering, and the list goes on and on. Target new business in the Southeast Texas Commercial Real Estate Magazine. One of the magazine’s primary targets is new business looking for commercial or industrial property in Southeast Texas. Targeting them in the Southeast Texas Commercial Real Estate Magazine and via their website gives you a chance to advertise to new businesses before anyone else even knows they are coming to our market. Advertising rates range from $250/month – $1500/month. Our Southeast Texas counties are very much part of the Bible belt. Advertisers desire this demographic, but they are hard to reach. Many avoid questionable content on radio, TV, and even the newspaper. You have to reach out to them on media they are comfortable with. Affordable ad rates put advertising on SETX Church Guide well in the comfort zone of small churches, Christian schools, Southeast Texas Christian businesses, and more. Ads on SETX Church Guide range from $95 per month – $495 per month. In the Golden Triangle, single people and families alike spend a large portion of our disposable income on dining out, entertaining ourselves and our families, and seeking “fun”. We work hard, but we also play hard. For some that means a great dinner with live jazz. For others that means a quest to find a family friendly carnival or community event to enjoy together. Others seek a great happy hour special for a get together with friends from work. Despite the success of EatDrinkSETX.com in helping Southeast Texas advertisers, pricing remains an excellent value ranging from $95/month – $300/month. SETXWeddings.com. Brides. Ads start at $100/month. Southeast Texas Commercial Real Estate Magazine. Ads start at $250/month.